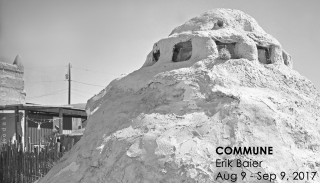 As a small boy Erik Baier was raised in an agricultural town in the Finger Lakes region of Upstate New York. He is now living and working between Boston and Vermont. 1980: Diploma, MFA - School of the Museum of Fine Arts, Boston. ‘Inmate portraits’, Commonwealth of Massachusetts Department of Correction. ‘Group Show’, Fenn School. Concord, MA. ‘Wilson Smith/Erik Baier- Snapshots’, Tufts University, Medford, MA. ‘Never Fail Image’, School of the Museum of Fine Arts. Boston, MA. ‘Group Show’, Speed Gallery. Boston, MA. ‘Foto Portraits’, Fotoforum Bremen. Bremen, Germany. ‘War Stories’, Frankfurter Allgemeine Zeitung. Frankfurt, Germany. ‘Shrubbery: Portraits’, Harvard University Arnold Arboretum, Jamaica Plain, MA. ‘Mans Best Friend’, MPLS Photo Center, Minneapolis, MN. ‘Erik Baier’, Hildesheimer Volkshochschule, Hildesheim, Germany. ‘Massachusetts Artists', Boston University, Boston, MA. ‘Ladies Who Lunch’, Museum of Modern Art, NY. ‘Group Show. Light Impressions', Rochester, NY. ‘Boston Photographers’, Light Sources, Boston, MA. ‘Pictures of People’, Canon Gallery, Amsterdam, The Netherlands. ‘Bar Room’, Vermont College, Montpelier, VT.